She went to PBSG biologists for answers. She talked to Elizabeth (Lily) Peacock, now a medical student, and Geoff York, who is employed full time for the World Wildlife Fund (WWF). Apparently, they did not correct her conclusion that polar bear numbers are currently increasing but brought up their concerns about the future instead. “Frightening” is a pretty loaded word for a scientist to use. And notice the “might” – rain might be predicted two weeks from now but that doesn’t mean it’s guaranteed to rain. 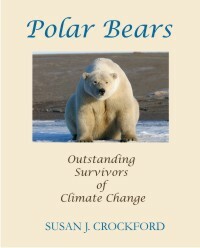 Regarding the models used to predict the future for polar bears, remember that Steven Amstrup, who is now a full time spokesperson for Polar Bears International [“Save our sea ice”], was the only polar bear expert consulted about how polar bears might respond to the sea ice changes generated by climate models. As I’ve pointed out previously (here and here), Amstrup appears to have been wrong, at least as far as his predictions on polar bear responses to declines in summer sea ice (July-September) are concerned. I expect, like most people, Wu does not realize that none of this information is published – the results of the research upon which these statements are based are not available for anyone to look at. 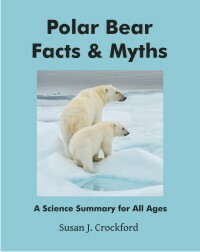 These data are critical evidence in support of the claim that polar bears are already being harmed by sea ice declines attributed to anthropogenic global warming – they are the most widely cited claims. Yet, the biologists responsible for the research haven’t bothered to get it published, even in preliminary form (see previous posts here and here). Why not? The logical conclusion is that the data actually don’t support their claims, but until we see the reports, no one will know for sure. The PBSG acknowledged this missing data in their latest (14 February 2013) population status report (pdf here) for the Western Hudson Bay subpopulation. 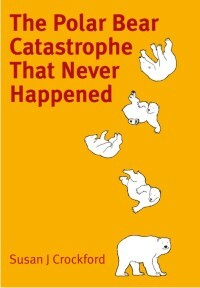 They say it will be forthcoming in 2014, but we haven’t seen it yet. UPDATE [18 May 2015]: An internal government report has finally been released on recent (2005-2011) WHB mark-recapture work (PDF HERE; discussed here) but it contains a population estimate only. It has no figures on changes (if any) on number of cubs, size of litters, or condition of bears over time for 1984-2011 (previous study period ended in 2004). The authors (Lunn et al. 2013:18) calculated a new estimate for the population at 2004 (previous count), using the same method they used for their new count in 2011; this generated an estimate of 742 (630-872) for 2004, vs. the 806 (653-984) estimated for 2011. This indicates that there has been no decline in population numbers since the last estimate was calculated in 2004. In addition, Lunn and colleagues (see pg 15) found no significant trend in either breakup or freeze-up dates over the period 2001-2010 (using a definition of 50% ice cover, rather than polar bear-relevant definitions of 30%/10% determined by Seth Cherry and colleagues in 2013, discussed in detail here). They also acknowledged that they did not cover a significant portion of the WHB population territory in their 2005-2011 mark-recapture surveys and this likely accounted for the difference between their estimate and the one calculated from an aerial survey in 2011. That statement is certainly true – that’s what the models predict. But what York didn’t tell her is that recent research contradicts a number of assumptions about polar bear responses to reduced summer sea ice that has already happened. Talking abstractly about possible future habitat differences is deliberate obfuscation of the pertinent facts from contemporary research that contradict the predictions that have been made. 1) Changes to Western Hudson Bay sea ice conditions over the last 30 years have been virtually identical to Southern Hudson Bay, yet between 1998 and 2004, Southern Hudson Bay bear population numbers remained stable while those in Western Hudson Bay declined (details here and here). UPDATE – see note above regarding updated WHB sea ice and population size data. 2) Davis Strait sea ice habitat declined almost as much over the last 30 years as it did in Hudson Bay, yet its polar bear population almost doubled (details here and here). UPDATE – see posts here and here regarding Davis Strait sea ice coverage for spring 2015. 3) Over the last 30 years, sea ice habitat in the Chukchi Sea (north of the Bering Sea, between Alaska and Russia) has declined more than almost any other region in the Arctic yet a recent study showed polar bears there are in excellent condition and reproducing well (details here, here, and here) – two hallmarks of a healthy population and the opposite of the predictions made by Amstrup and colleagues (see References, below, including Amstrup et al. 2007). UPDATE – see also this recent post: If summer ice was critical for S. Beaufort polar bears, 2012 would have decimated them. This statement reflects suggestions made in the literature (discussed previously here and here) that some polar bear populations (e.g., Barents Sea, Western Hudson Bay, Davis Strait) have grown so much since they were protected by international treaty in 1973 that they may have reached their maximum sustainable size. Biologists have admitted that it is probably not yet possible to separate the effects of summer sea ice declines from those of increased population size on polar bear population health, that attribution of blame is complicated. So, are polar bears really threatened with extinction? All the evidence says they are not in any trouble right now: the classification of polar bears as ‘threatened with extinction’ is based completely on predictions made by computer models about what might happen by 2050. However, the results of recent polar bear research have disproved, or called into question, many of the assumptions used to make those models work. That leads me to conclude that polar bears are not endangered. See Wu’s entire article here. This entry was posted in Conservation Status, Population and tagged Amstrup, Center for Biological Diversity, Chukchi Sea, computer models, endangered species, global warming, IUCN Polar Bear Specialist Group, more polar bears, PBSG, Peacock, polar bear, population increase, predictions, sea ice decline, Southern Hudson Bay, threatened with extinction, western hudson bay, York. Bookmark the permalink.